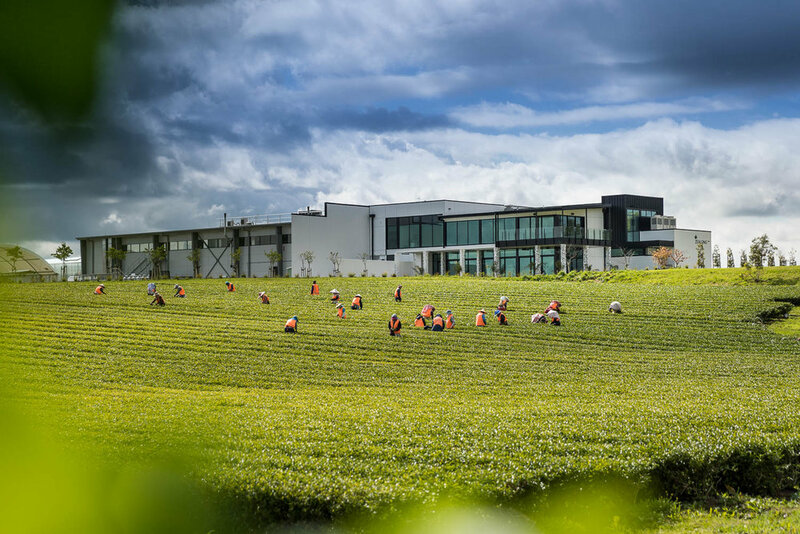 Zealong Tea Estate is widely regarded as a Waikato icon and the only commercial tea estate in New Zealand, producing international award-winning, certified organic, New Zealand-grown tea. Their story began in 1996 with 130 premium quality seedlings. The local climate, terroir, and lack of heavy frost north of Hamilton proved to be ideal for growing the Camellia sinensis tea plant, enabling them to increase in size over the past 20+ years to grow and lovingly-nurture 1.2 million plants on 48 hectares. Today, Zealong Tea Estate offers a Tea House restaurant, a retail boutique, a variety of event venues, and guided tours, which are firm favourites with tourists and locals alike. Their team is committed to partnering with nature to create the world's purest teas—which includes growing organically. Zealong has been operating organically since 2009, when they first applied for certification with BioGro. They went through the 3-year conversion stages, and progressively got the whole estate certified. Current industry issues around country of origin, high residue levels, and fair trade motivated Zealong to be innovative and develop sustainable methods for tea farming. Being certified organic is one aspect of that, as well as growing tea in a non-traditional region, and being fully traceable and ISO22000 HACCP certified across all aspects of production. BioGro’s reputation and marketing reach stood out to Zealong the most, which is why they chose to certify with them. Being able to communicate with the right person at Biogro for a wide variety of matters has also been a key asset, as opposed to dealing with support staff from a large corporate. Certification has also helped with market differentiation, because New Zealand has no regulations on organics, it gives Zealong an edge on competitors who simply claim organic. Also, BioGro Organic certification is also compliant with EU, USDA, and Canada Organic standards, it has been very helpful when entering into overseas markets, such as Germany. Zealong specialises in producing high-quality green, oolong and black teas, which are exported to USA, Germany, UK, France, China, and to various tea businesses around the world, as well as being sold locally to fine food and specialty shops countrywide. Recently their teas have won awards in several categories at Global Tea Championships and World Tea Expo, which is an excellent outcome for New Zealand as such a new tea-growing country.